14680 The Buy American Act Place of Manufacture Report is incorrectly including records where the PSC (Product or Service Code) is a Service (begins with an Alpha character). The Buy American Act Place of Manufacture Report shall be updated to exclude records where the PSC is a Service (begins with an Alpha character). No Preview or Appendix updates for this change are necessary. 15469 “Type of Set Aside” is losing its value on V1.4 Delivery Orders when the referenced V1.4 BOA is corrected. Note: “Type of Set Aside” is a required value on V1.4 Delivery Orders but not applicable on V1.4 BOAs. “Type of Set Aside” loses its value on the V1.4 Base DO regardless of the data element(s) corrected on the referenced V1.4 BOA. A software fix shall be performed so that the user-provided value for “Type of Set Aside” is retained on V1.4 Delivery Orders, regardless if a correction is made to the referenced V1.4 BOA. This fix will also apply to the new Base after a “Transfer Action” for the above scenario. 16456 The current D&B Disclaimer text must be updated. The current D&B disclaimer text shall be updated throughout FPDS-NG. All Standard Reports that include the D&B Disclaimer in the Preview and Appendix will be updated to include the new text. D&B hereby grants you, the user, a license for a limited, non-commercial use of D&B data within the limitations set forth herein. By using this website you agree that you shall not use D&B data without giving written attribution to the source of such data (i.e., D&B) and shall not access, use or disseminate D&B data in bulk, (i.e., in amounts sufficient for use as an original source or as a substitute for the product and/or service being licensed hereunder). Under no circumstances are you authorized to use the D&B data for commercial, resale or marketing purposes (e.g., identifying, quantifying, segmenting and/or analyzing customers and prospective customers). Systematic access (electronic harvesting) or extraction of content from the website, including the use of "bots" or "spiders", is prohibited. Federal government entities are authorized to use the D&B data for purposes of acquisition as defined in FAR 2.101 and for the purpose of managing Federal awards, including sub-awardees, or reporting Federal award information. GSA assumes no liability for the use of the D&B data once it is downloaded or accessed. The D&B data is provided "as is" without warranty of any kind. The D&B data is the intellectual property of D&B. In no event will D&B or any third party information supplier be liable in any way with regard to the use of the D&B DATA. For more information about the scope of permissible use of D&B data licensed hereunder, please contact D&B at datause_govt@dnb.com. • DOD1E01 - Solicitation ID must be 13 characters. • DOD1E02 - Position 9 of the Solicitation ID (type of instrument code) must be B, N, Q, R, T, or U. • DOD1E03 - The first 6 characters of the Solicitation ID must be a valid DODAAC for a Contracting Office. • DOD1E04 - Positions 7 and 8 of the Solicitation ID must be the current FY or any prior FYs. (up to 50 years prior to the current FY). 16849 1) “FedBizOpps” is incorrectly propagating to V1.4 Base Delivery Orders from the referenced V1.4 BOA. 2) When a user updates “FedBizOpps” on a V1.4 Base Delivery Order, the value is not being retained. 1) A software fix shall be performed so that the value for “FedBizOpps” no longer propagates to V1.4 Base Delivery Orders from the referenced V1.4 BOA. 16937 ATOM Feed users are unable to pull records that contain non-printable ASCII characters in the “Description of Requirement” field. FPDS-NG accepts non-printable ASCII characters in the following open text fields: Ordering Procedure, Description of Requirement, and Other Interagency Contracting Statutory Authority. FPDS-NG shall display the new validation rule ‘5H02’ on all records which have one or more non-printable ASCII characters in “Ordering Procedure.” There shall be no Start Date for this rule, and it shall apply to all existing records. 5H02: “Ordering Procedure” must not contain Non-printable ASCII characters. •	This requirement shall apply only to Base documents. FPDS-NG shall display the new validation rule ‘6M18’ on all records which have one or more non-printable ASCII characters in “Description of Requirement.” There shall be no Start Date for this rule, and it shall apply to all existing records. 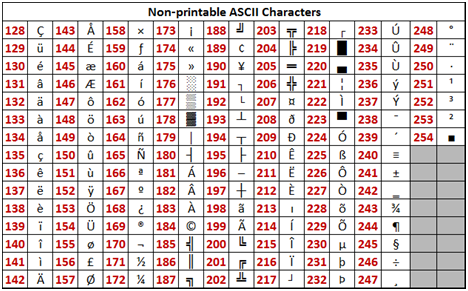 6M18: “Description of Requirement” must not contain Non-printable ASCII characters. •	This requirement shall apply to Base documents and Modifications. FPDS-NG shall display the new validation rule ‘7F02’ on all records which have one or more non-printable ASCII characters in “Other Interagency Contracting Statutory Authority.” There shall be no Start Date for this rule, and it shall apply to all existing records. 7F02: “Other Interagency Contracting Statutory Authority” must not contain Non-printable ASCII characters. FPDS-NG shall display the new validation rule ‘OT6M18’ on all OT records which have one or more non-printable ASCII characters in “Description of Requirement.” There shall be no Start Date for this rule, and it shall apply to all existing records. OT6M18: “Description of Requirement” must not contain Non-printable ASCII characters.